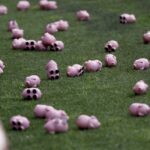 On 1 April 2002, Charlton Athletic pulled an April Fools’ Day prank that tricked hundreds of supporters. In the program for that day’s contest against Arsenal, the club included a full-page announcement stating that they had received complaints about the sword featured in their current crest, which some people found inappropriately unfriendly. 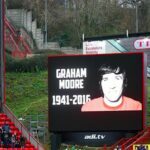 To address those concerns, Charlton presented three potential new designs and asked the fans to vote for the one they preferred. The first option was a reproduction of the crest used by nearby rivals Fulham FC, simply replacing “FFC” with “CAFC.” The other two options were very similar to the current crest, but one replaced the sword-in-hand with a smiling fish (representative of the club’s “Addicks” nickname) and the other with a cartoonish bird (for their other nickname as the Robins). Over 300 people actually voted online, while hundreds more called the club to protest the change. 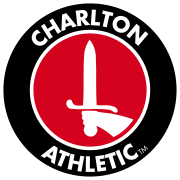 It was not the first hoax involving the Charlton crest, as a 1998 fanzine article claimed that the current sword-in-hand image came from the “Spencer-Percival” family crest. In fact, the design was the result of a fan competition in 1963.